Save 50% on the Spongebob or Dora the Explorer Pillow Pet (18 Inch) plus Free Shipping! 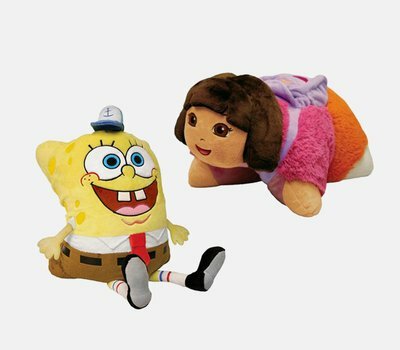 The Spongebob Squarepants or Dora the Explorer Pillow Pet (18 Inch) is on sale for $14.99 at Tanga.com right now. That's 50% off the retail price of $29.95!